Mother's Day grief: Spending the day without mum. Mother's Day grief: What it's like spending the day without mum. On a day when mothers across the country are being showered with homemade crafts, bouquets of flowers and breakfast in bed, those who have lost their matriarch find today a little tougher. Mother’s Day, and the lead up to it, can stir up painful emotions. Canberra father Lach Searle and his two young children are spending another Mother’s Day without wife and mother Rebecca McGloughlin, who died two years ago, and the day poses new challenges each year. “This will be our third without Bec,” Mr Searle said. 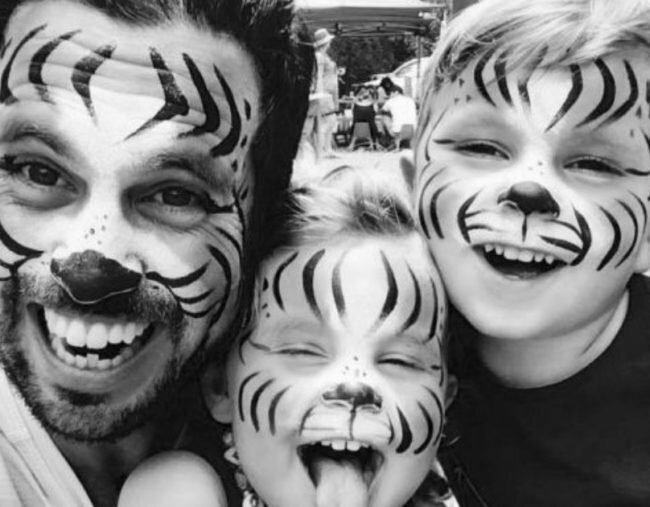 To help navigate a life without their beloved family member, Mr Searle writes letters to his children Tommy and Lottie (Lotts) of stories and memories of their mum, publishing them on his blog, The Daddy Letters. He said it was mainly a written record for his kids to look back on, but by posting them publicly he has been able to connect with others. Image supplied: The Daddy Letters. "Ultimately it&apos;s for them, but it is nice to share as well," he said. "By sharing it I&apos;ve been able to touch base with a few other widows and widowers who have been thinking similar things and going through similar things at the same time." Last week Mr Searle posted a raw and honest account of how his young family were coping as another Mother&apos;s Day loomed. "For some reason, this last week has been a bit more intense than others, but I think I know why. I&apos;m guessing the Mother&apos;s Day build up has had a bit to do with that. No, actually a lot. So for me, Mother&apos;s Day is about your loss, and your grief. Yours Tommy, and yours Lotts. Which is why we&apos;ll take it slowly this week and do our own little things to have fun and to remember. But we&apos;ll also try and minimise the impact of a day, that really lasts a couple of weeks." Now the children are old enough for school, Mr Searle said the challenge was coping with more than just that one day. "The tricky thing for the kids is Mother&apos;s Day at school is quite a build-up, so I&apos;m just trying to manage that and doing things that they want to do and not putting too much pressure on the day, " he said. "We&apos;ll do something special to remember their mummy, but really it&apos;s evolving ... we will come up with our own thing over time because as the years go on things will change." But Mr Searle said the blog post he wrote about Mother&apos;s Day was about more than just the children. He said his grief was mainly for his wife, who was not able to share or experience the joy of Mother&apos;s Day. "She worked so hard to become a mum, she loved being a mum … but sadly, she only ever got to have three Mother&apos;s Days. And all before you guys ever realised what they were about. And also, well before I understood I needed to up the ante a little on presents, but that&apos;s another story. She lost the chance to be a mother beyond those first three years, and that&apos;s why Mother&apos;s Day is hard for me, because I think of her … a lot. And what she lost." Mr Searle adds: "In the blog it was more about what she lost more than anything. The fact that she is not here to celebrate a Mother&apos;s Day and have kids run in with some craft they have made and a cooked breakfast and whatever else." He said working out how his family approached the day would be something they adjust to every year, but for now it was whatever worked. Mr Searle said he wrote the letter ahead of Mother&apos;s Day because he wants it to be "#funday, not sad Sunday". A "funday" in which he lets the kids take the reigns and what did they want to do — spend it at the zoo.